Who wants to have some unmatchable entertainment? Well, you simply need to get onto American Roulette! This tip-top variation is one of a kind. Did you know that American Roulette was an adaptation of European Roulette? As Roulette was introduced in America, the casino owners thought that adding another zero will be more profitable. In the long run, this variation became as popular as European Roulette, spreading from America to the whole world! And now, it is even online… at Moon Games. Grab any device of your choice and start entertaining yourself with this tantalising table game. Ever wondered how punters play American Roulette? Well, there is nothing complex about it. 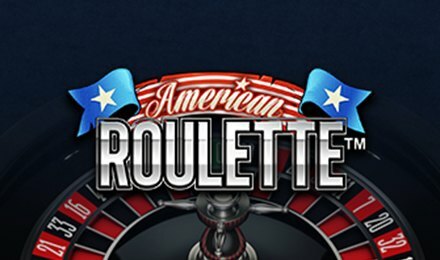 Here is everything you need to know about playing American Roulette by NetEnt. Begin the fun by logging onto your Moon Games account or register for one. Once you are in the game, you start by setting up the bets of your choice. Click on the numbers that you wish to wager on. Done with the stakes? Click spin to start the game. The roulette ball will begin to spin and as the wheel loses speed, the ball will tumble into a numbered pocket. Then, that number is declared the winner. Of course, if you have wagered on the winning number, you are awarded wins based on the pay table. Here is more information about the bets. Bet Levels: There are no bet levels on American Roulette. However, you can click your desired number multiple times to stack the chips. Amount of Paylines Selection: Since American Roulette is a table game, there are no pay lines. Coin Values: Adjust your stakes by clicking on the chips that you prefer. Chips are found at the bottom of the screen and there are plenty of values available. From a minimum of £0.10 up to a maximum of £1K. Suit yourself to select any of those values. Exclusively on American Roulette, you will be coming across two zeros. The single Zero is common yet the Double Zero is not. Play American Roulette to wager on this exclusive number that adds on to the bet ranges. There are plenty of players that prefer setting up the bets on the numbers as they are ordered on the Roulette wheel. As such, the Race track bets become handy. Click onto the Racetrack icon at the bottom bar and access the option to set your preferred bets. American Roulette presents the traditional betting options for roulette. You can choose from Straight, Split, Three, Corner or even Top Line, Six Line, Dozen, Columns, Red or Black and Even or Odds for your bets. Be sure to check out the pay table to know about the odds of wins.